It’s always the season for love, if you’re in the mood. Love is hypnotic, exhausting, and exhilarating: It is as draining as it is fulfilling, a natural voodoo charm that brings even the strongest to their knees in a weakened state of euphoria. Stelle Amor captures the sultry side of love on “Spike’s Groove” as she succumbs to its mesmeric embrace. 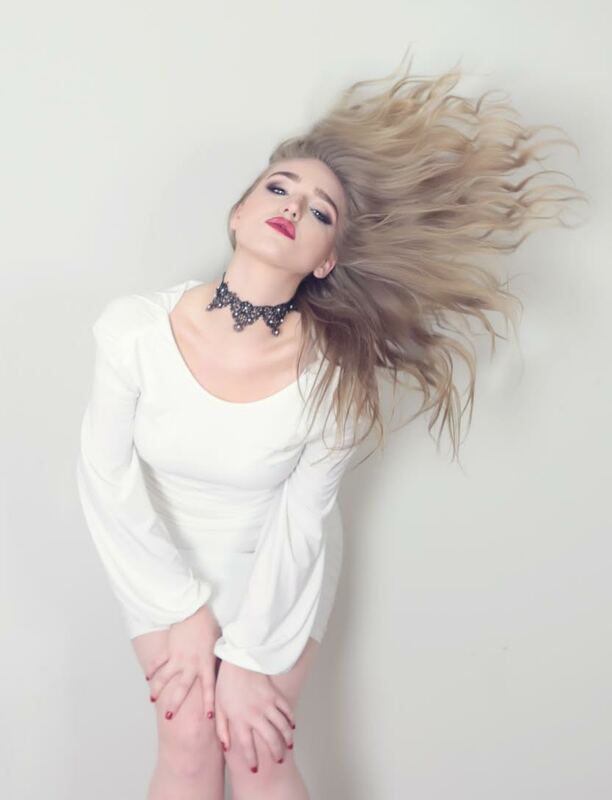 Atwood Magazine is proud to be premiering “Spike’s Groove,” the seductive new single from Nashville-based “soul-ternative” singer, Stelle Amor. Rocking a jaw-dropping voice and a classy, nostalgic vibe, Stelle Amor entrances with warm licks and teasing croons that promise to get even the tamest blood boiling. It’s not easy to capture bedroom intimacy without petty garnishes, but Stelle Amor steers clear of the riff-raff, opting for a vibe that emanates feeling and words that echo her heart’s deepest secrets: “We flow like watercolors, bleeding a midnight hue” she chants in the opening verse. “You’re a feel good melody, I’m stuck singing…” she breaks into scatting, overwhelmed with emotion and tension. Sometimes, we simply don’t have words to express the energy inside – and it is for this purpose that scatting came into the world so many decades ago. Stelle Amor excels at bringing out real heart and soul: She calls herself a soulful siren, and the words ring true on “Spike’s Groove” as she frees herself from a repressed cage, sending intense emotions exploding in all directions as trumpets blast beside her. Love evokes so many different emotions and feelings within us, that it’s hard to capture the incredulity of it all. We sense that power as Stelle Amor hits the breakdown with a rock sensibility, shouting, “Toe to toe, lash to lash, tongue to tongue, cheek to cheek, it’s where I feel – I feel complete,” as the song is thrown into a flying guitar solo. Yeah, love is crazy. But that’s the best kind of crazy there is: It feels good to be overwhelmed with love, so when Stelle Amor loses herself to feeling, we know she’s in good place – a great place. Thanks to the passion she brings to “Spike’s Groove,” we can be there, too. “Spike’s Groove” is available for exclusive download via Stelle Amor’s website (link below).